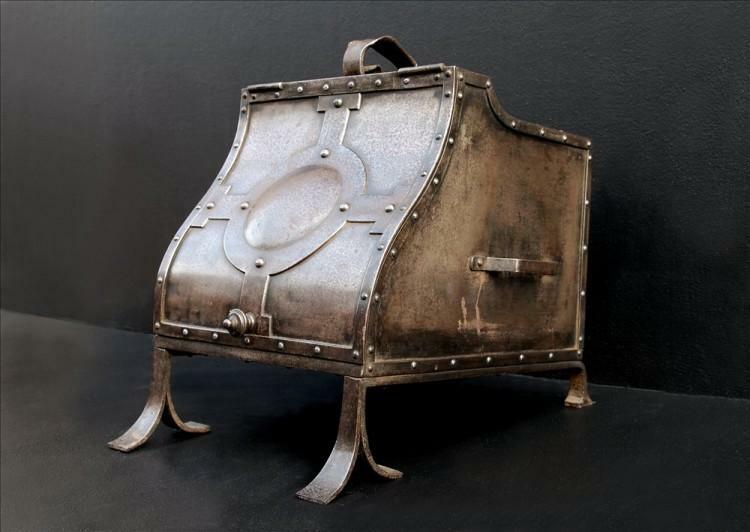 An unusual English antique coal box. 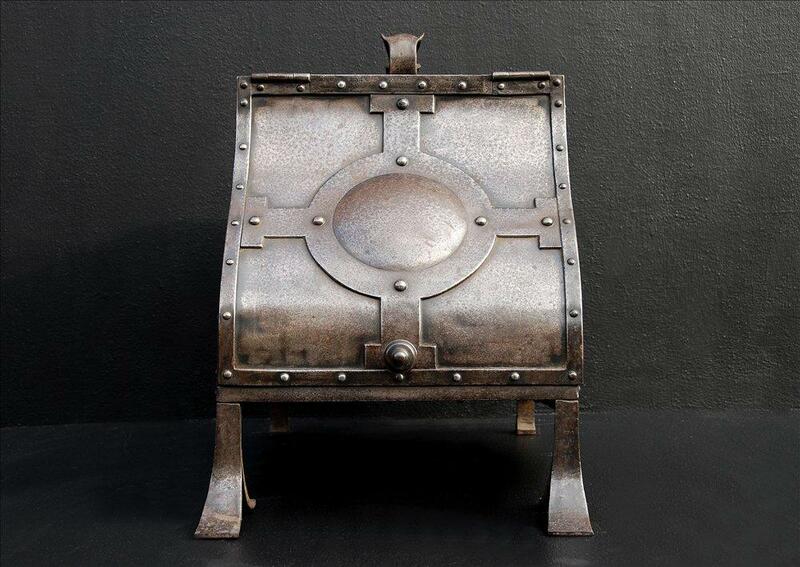 This antique coal box/scuttle is made in steel and dates from around 1900. 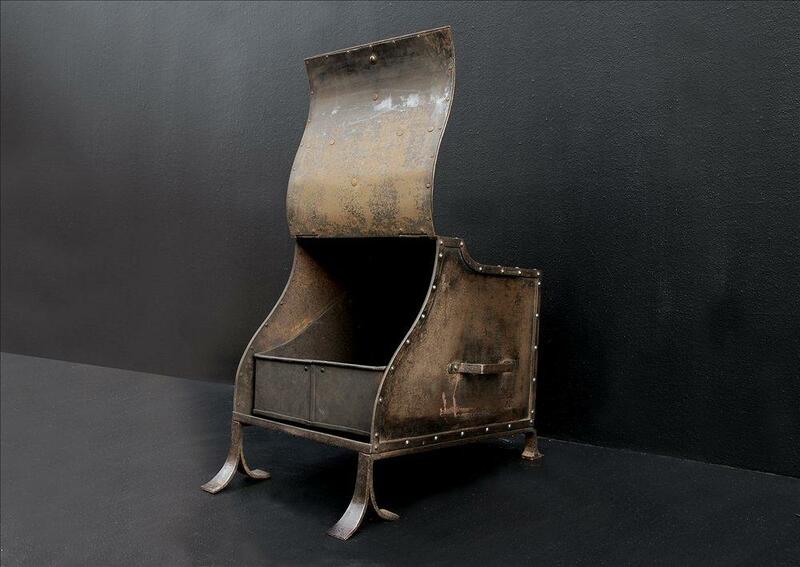 The coal box is very well made and is heavy quality. A mildy Art Nouveau influence can be seen. Complete with a liner. The overall condition is very good, with no dents or marks. Dimensions: 20″ high x 14″ wide x 21.75″ deep.